Easy-to-pour bottle – works for capless tanks! Simply pour a full bottle of Fuel Injector Cleaner in your fuel tank to help clean fuel injectors and restore injector spray patterns. One bottle treats up to 25 gallons. Safe for all types of gasoline fuel injection engines. Cleaner fuel injectors lead to better fuel efficiency and performance. Use regularly to help overcome or prevent hard starts, rough idling and hesitations. 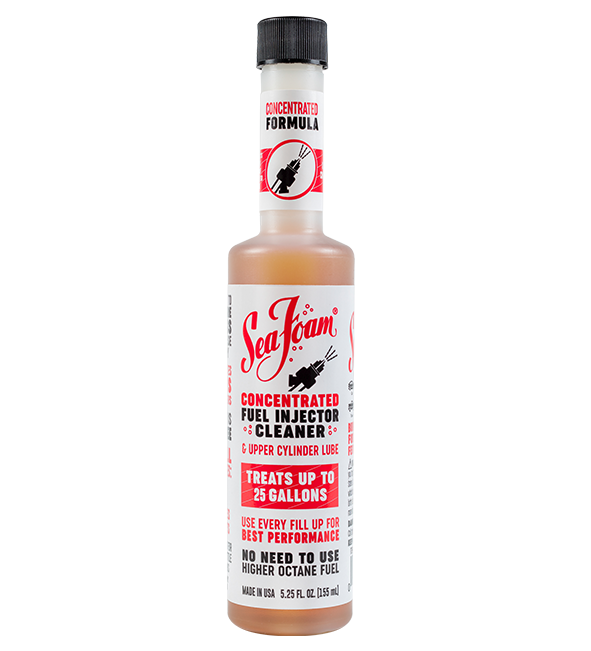 Use to recover lost fuel economy or lost power caused by dirty injector fouling. Cleaning fuel injectors has never been this easy! Specially formulated to help clean fuel injectors. Helps restore injector spray patterns for better engine performance.